The Mio MiVue C380 Dual is a dashboard camera has a built-in 2.0-inch display allows you to playback videos instantly on the dash cam. The Mio MiVue C380 Dual also includes rear dash camera for recording the view behind your vehicle. Power to the rear camera is via a cable provided in the box which also sends video to be recorded to the front dash cam unit. 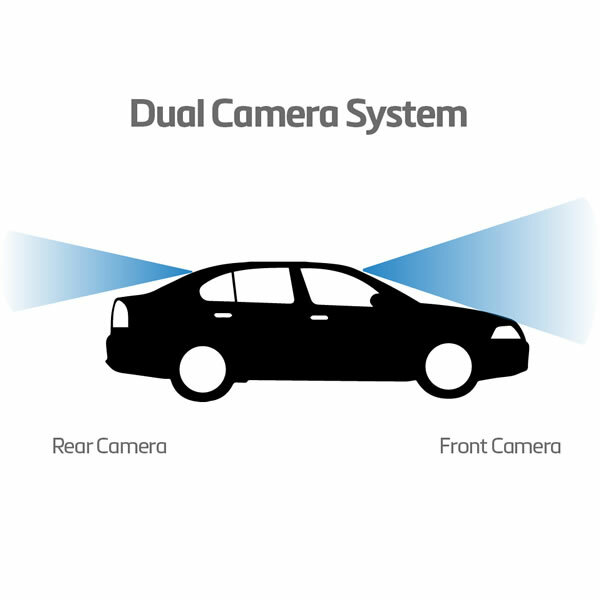 Mio MiVue C380 Dual features a 130 degree viewing angle to capture a wide view of the road ahead. You can also use the parking mode feature to record events when parked. The Mio MiVue C380 Dual is a dashboard camera with a rotating mount to allow you to capture the view of the road ahead from the best angle. The built-in 2.0-inch display allows you to playback videos instantly on the dash cam. The Mio MiVue C380 Dual also includes a rear dash camera for recording the view behind your vehicle. Power to the rear camera is via a cable provided in the box which also sends video to be recorded to the front dash cam unit. 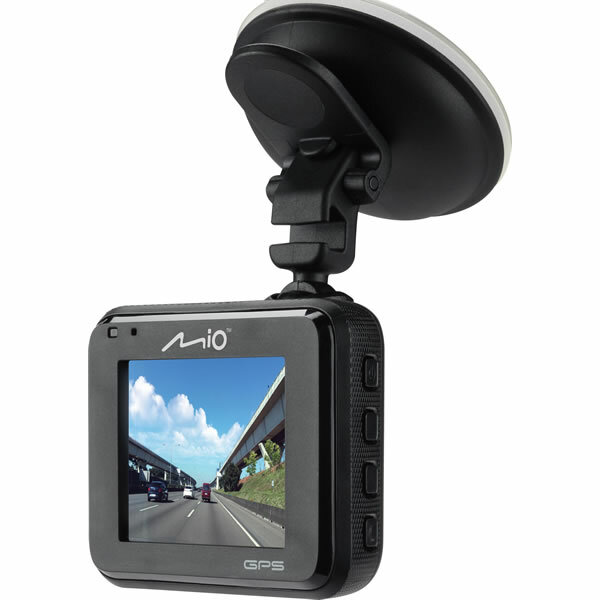 If you are looking for parked mode recording feature we recommend buying the Mio MiVue 751. Auto Power On feature is also available from the moment you start your car. Integrated GPS records your route so you can track your route on a computer. 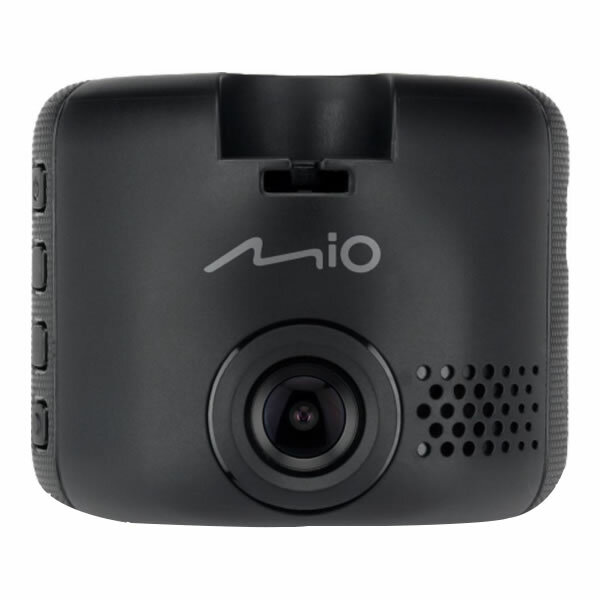 The Mio MiVue C380 also records and stores your GPS speed, altitude, longitude, latitude and heading. Speed cameras are also alerted to as well as speed limits so you will always know the road speed limit. Recordings are made at 1080p Full HD quality through an F1.8 lens which works in all light conditions and also includes night mode. There is a 130 degree wide-angle lens for capturing a wide view of the road ahead. Sony's high quality optic sensor (front and rear camera) makes recordings in .MP4 (H.264) format. 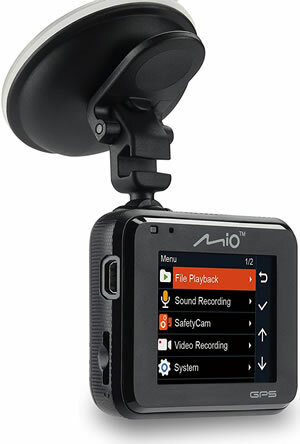 Audio recording is also made by the Mio dash cam. 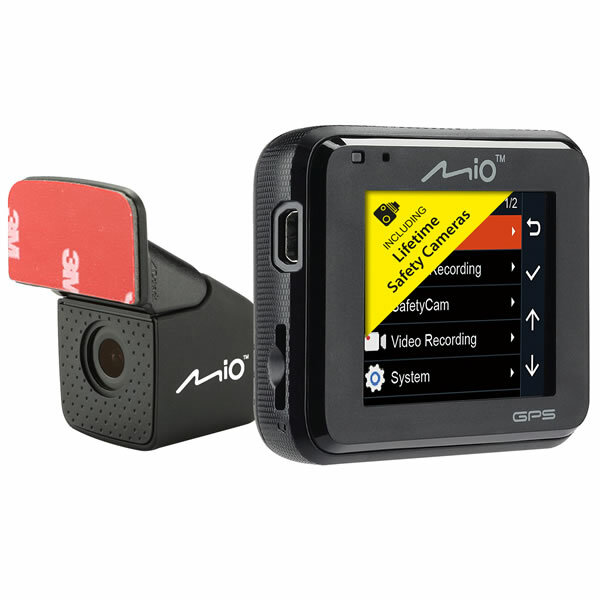 You may like to dictate to the Mio C380 Dual to document evidence at the scene of an accident. You can playback videos and browse through stored videos with speed control. GPS Overlay in Google Maps provides a moving map synchronised with the video. Videos are organised by type and date for faster searching. Furthermore you can combine videos and share your recordings on social media sites (YouTube, Facebook). 3-axis G-Sensor captures footage automatically when an impact is detected and the MiVue dash camera automatically stores and prevents the crucial video from being overwritten. Direction Analyzer records driving direction and displays 3-axis g-forces in synchronisation with videos. 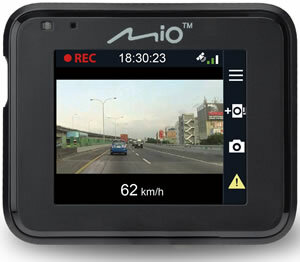 The Mio C380 Dual has a camera mode for taking photos at the scene of an accident to capture valuable evidence. Alternatively you can take photos of the local scenery. GPS coordinates are stored for each photo taken. There is a built-in battery to enable the photo mode to operate without being connected to a power supply. Drive with the knowledge you are capturing all events along your journey with the Mio MiVue C380 Dual dashboard camera. Do you have a question about the MiVue C380 that's not been answered on this webpage? Please see our Dash Cam FAQ's for questions from other people. If the answer to your question isn't featured, use the online form to ask us for the answer. Alternatively please telephone 01733 777623 Monday to Friday (9:30am-5:00pm) to speak to one of our sales team. For further information online please see the Mio MiVue dash cam comparison table. 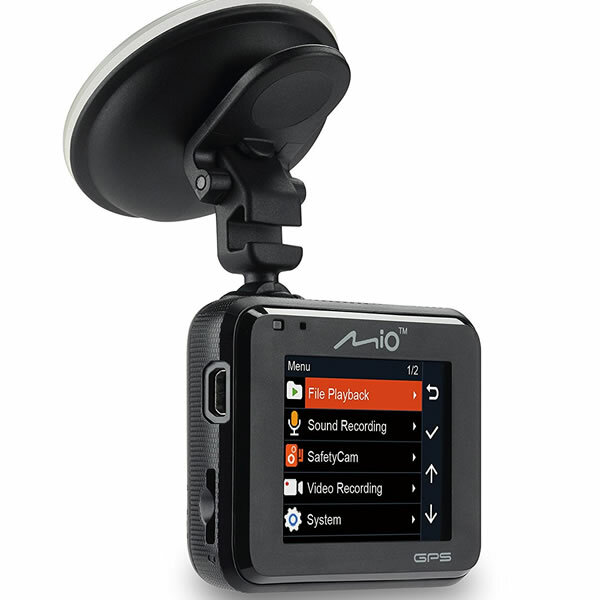 You can locate the Mio MiVue Dual C380 on the front windscreen, which also helps to ensure the highest quality recordings and does not obstruct your view of the road ahead. You can use the included car charger to power the in car camera device. A windscreen mounting bracket is also provided. There is no microSD card in the box. You will therefore need to either buy a microSD card separately or buy one of the below Pro Fitting Kits that includes Smart Power Box (for parking mode set-up), 3M Window Mont and microSD card. MiVue Manager is a tool for you to view the videos recorded on your MiVue Dual C380 recorder on a PC computer or Mac Computer. The Mio MiVue software can be downloaded from the Mio Service website. 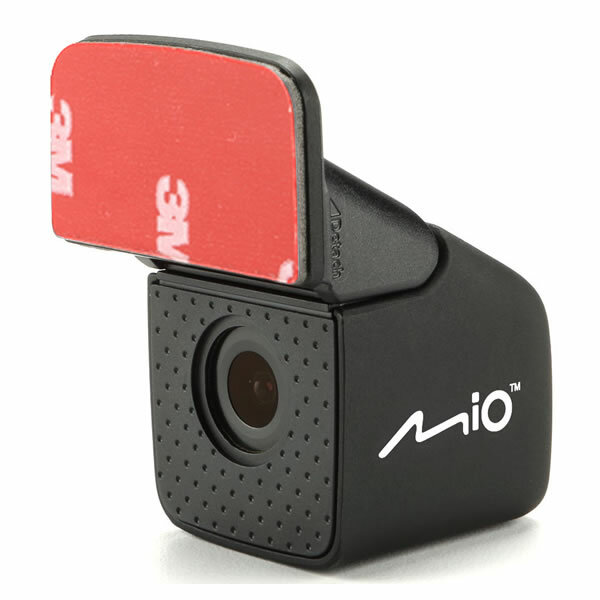 The Mio MiVue Dual C380 includes free speed cameras and is compatible with both Mac and Windows computers. This is separate from the MiVue Manager software and is accessible via Mio's website. 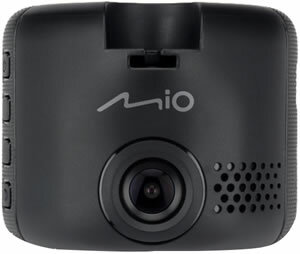 Looking for accessories and spares for the Mio MiVue C380? Accessories available to purchase from ActiveGPS include a replacement vehicle power cable, hardwire power cable and USB cable. In addition, we sell four different Pro Fitting Kits, the pro fit kit comprises of Smartbox (hardwire power cable), 3M windscreen mount and either a 16GB, 32GB, 64GB or 128GB SD card to record and store dash cam footage onto.